Very Good. The 5000 Year Leap: A Miracle That Changed the World by Skousen, W Cleon. Trade paperback (US). Glued binding. 337 p. Contains: Illustrations, black & white, Line drawings, black & white, Maps, Charts. Good. 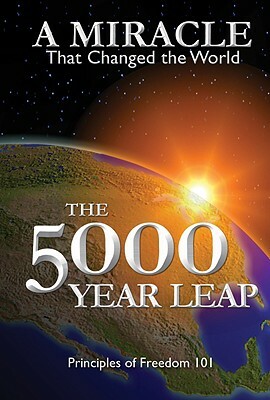 The 5000 Year Leap: A Miracle That Changed the World by Skousen, W Cleon. Trade paperback (US). Glued binding. 337 p. Contains: Illustrations, black & white, Line drawings, black & white, Maps, Charts. I think it is a geat acount of thehistory of USA. He goes into some details that I have not found in the history books I have studied. Great book. I have given copies to some of my grandchildren who are about finished with high school. All of our children should be required to read this book this summer. Schools should use this book for religious and history classes. To understand how lucky you and I are to live in this God chosen land, please read this book! An excellent insight into the thinking of the founding fathers as the U.S. Constitution was developed. Clear explanations as to why it remains totally relevant today. Concise arguments and a quick read.